This would have been a very interesting receiver to refuel. A B-52 sits in the contact position while carrying a D-21 drone under it’s left wing. 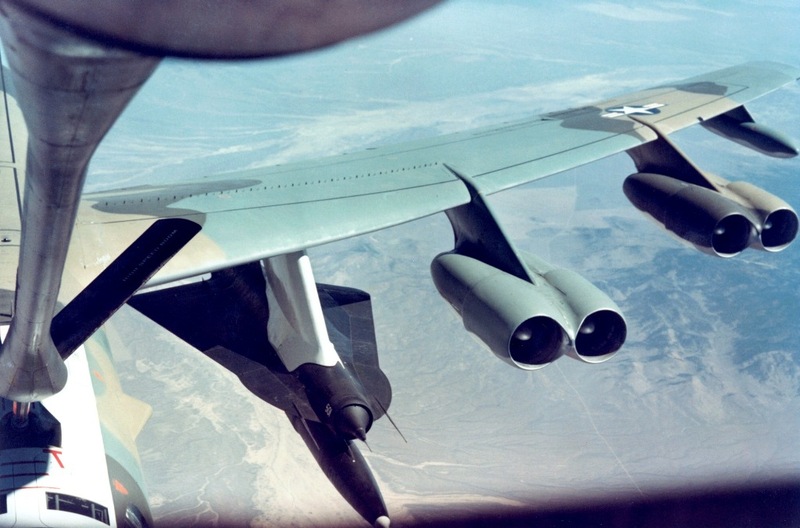 A B-52 carrying a D-21 reconnaissance drone and rocket booster. This is a nice refueling scene from the classic movie “A Gathering of Eagles”. 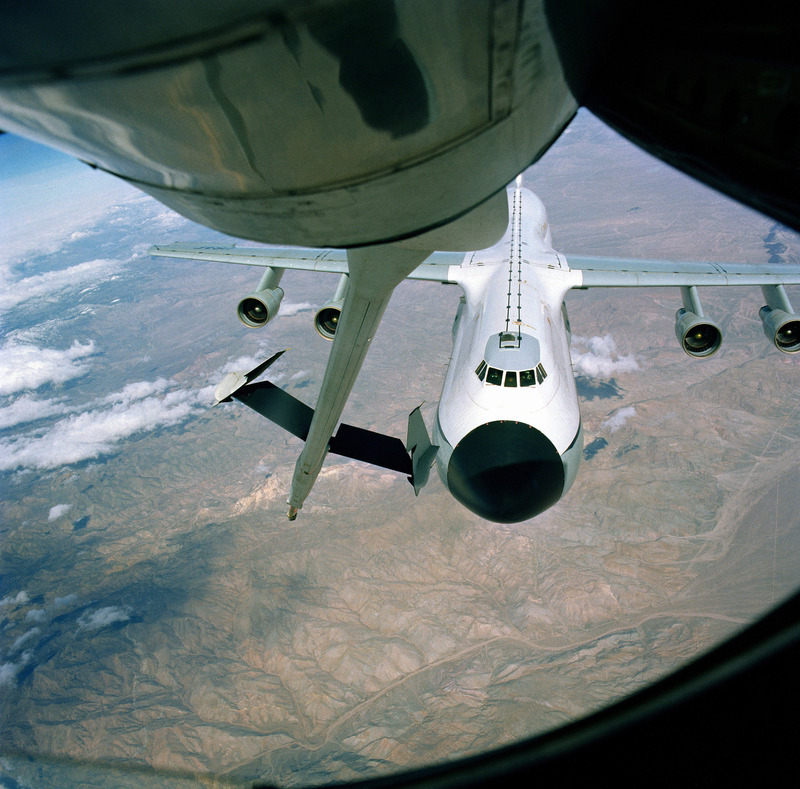 During the refueling a fuel manifold bursts open in the cockpit of the B-52 and an emergency breakaway is executed. All electrical equipment is shut off and the aircraft is forced to perform a high speed flaps up landing resulting in hot brakes.